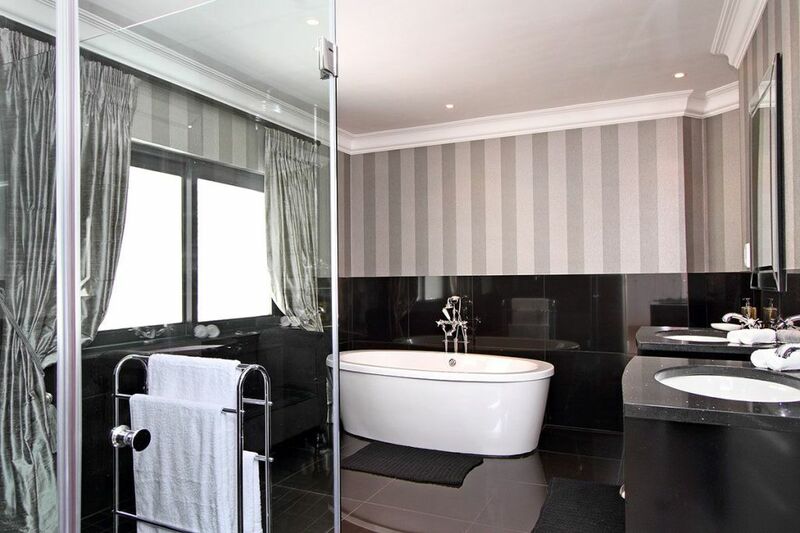 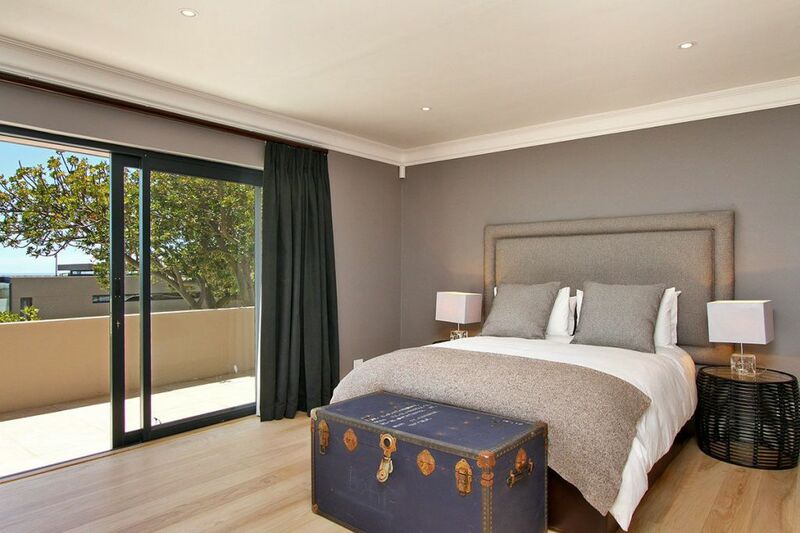 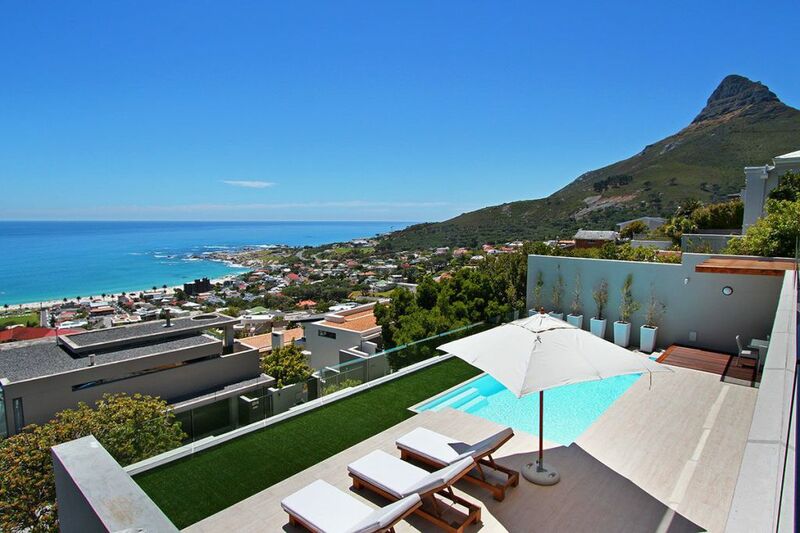 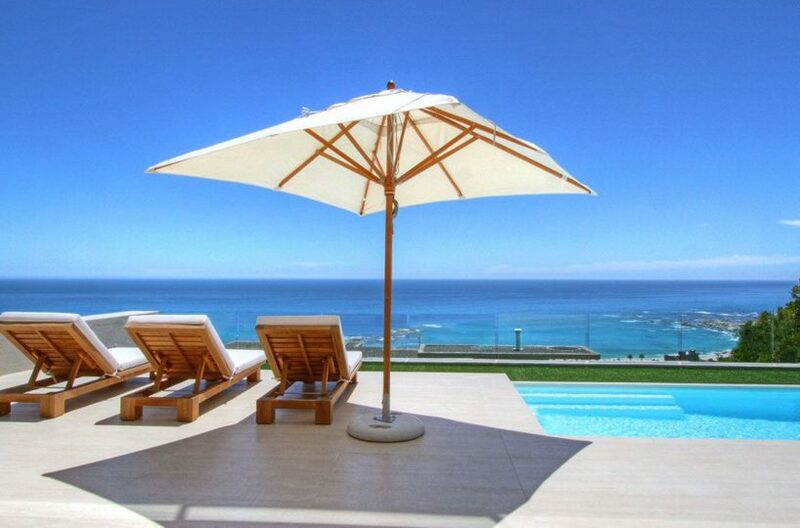 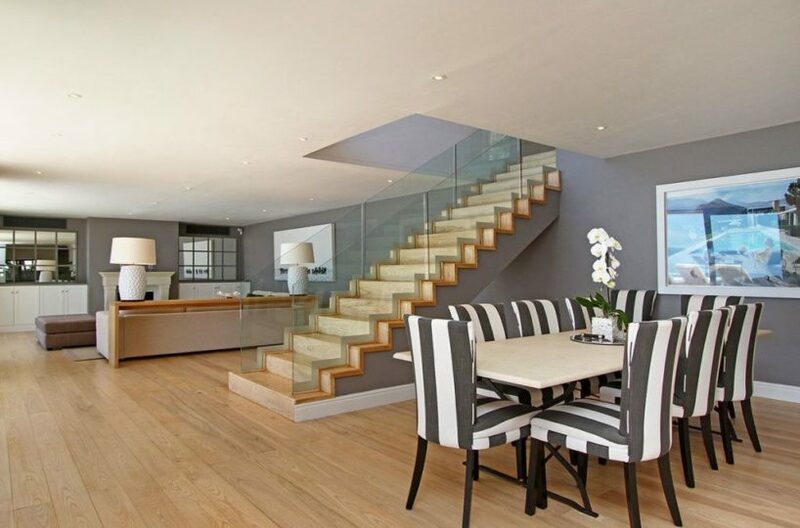 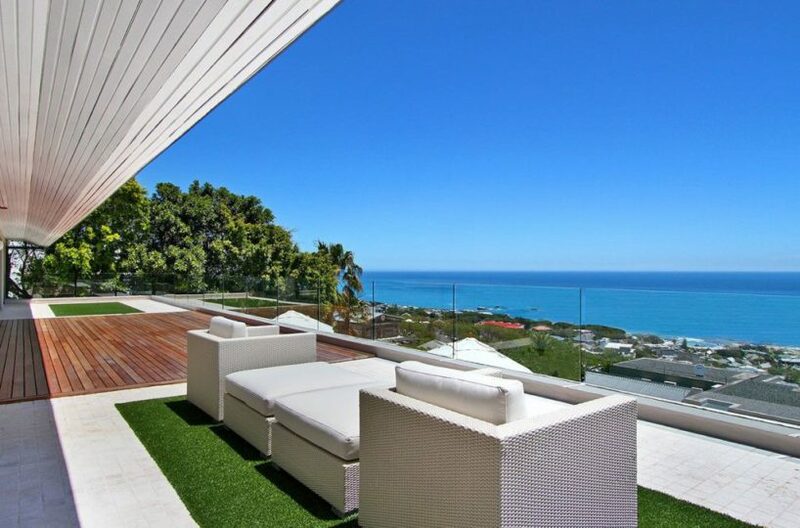 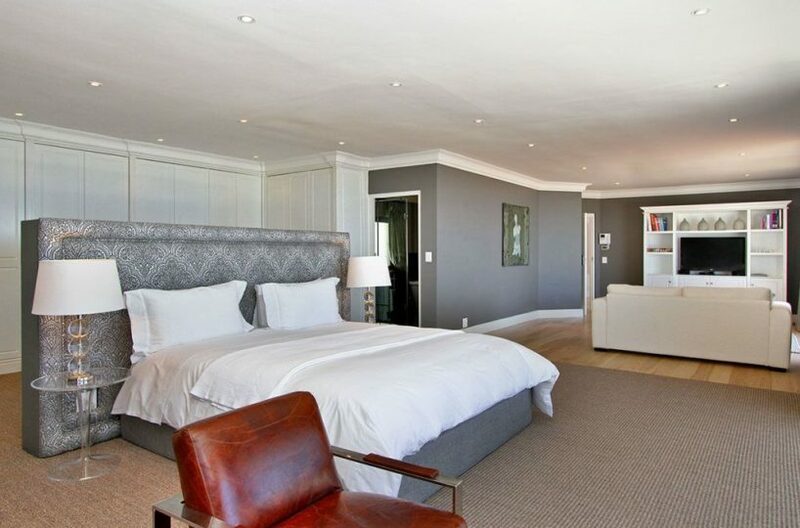 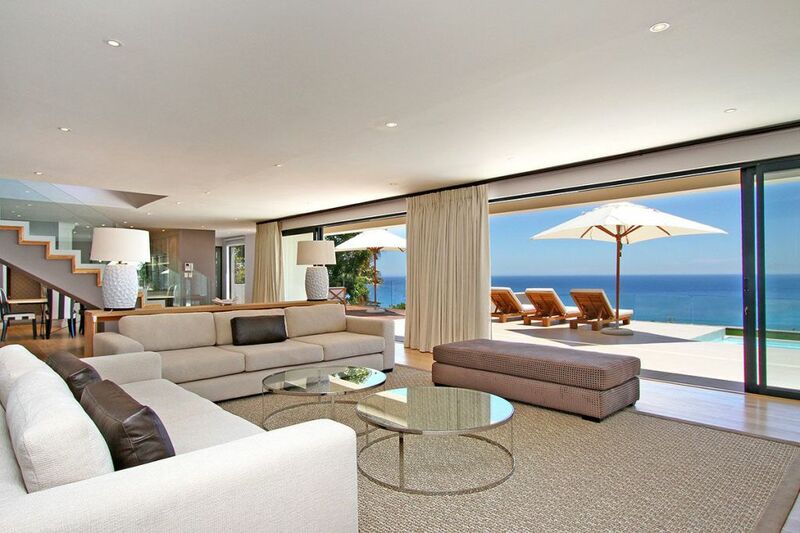 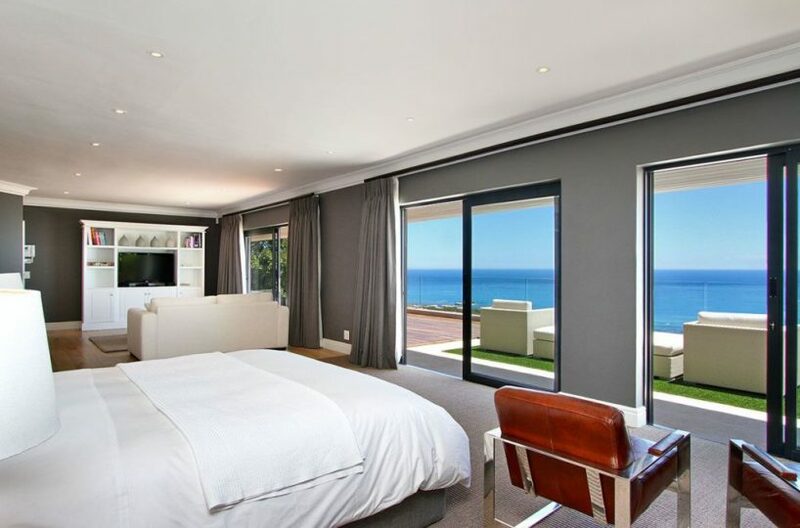 A stylish 4 bedroom Camps Bay house, located high up on the mountain giving exceptional views of the Atlantic ocean. The villa faces the sunset and is the perfect place to enjoy a sundowner in the tranquility of this stylish home. 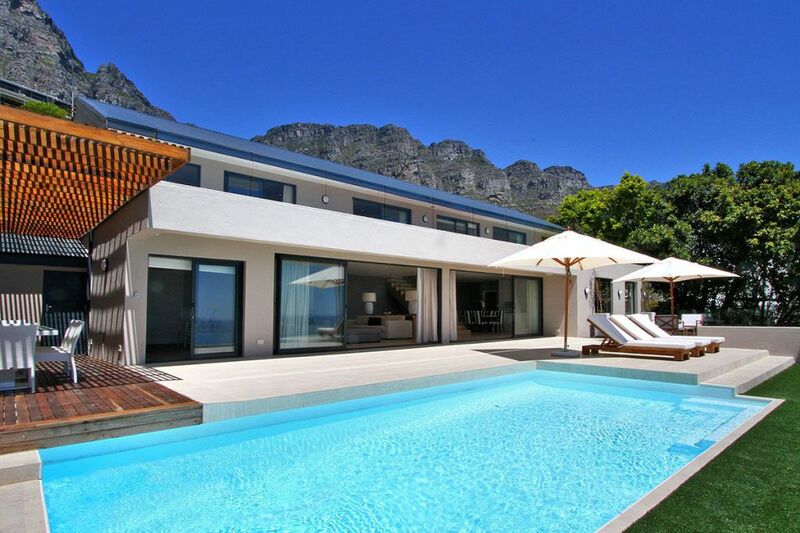 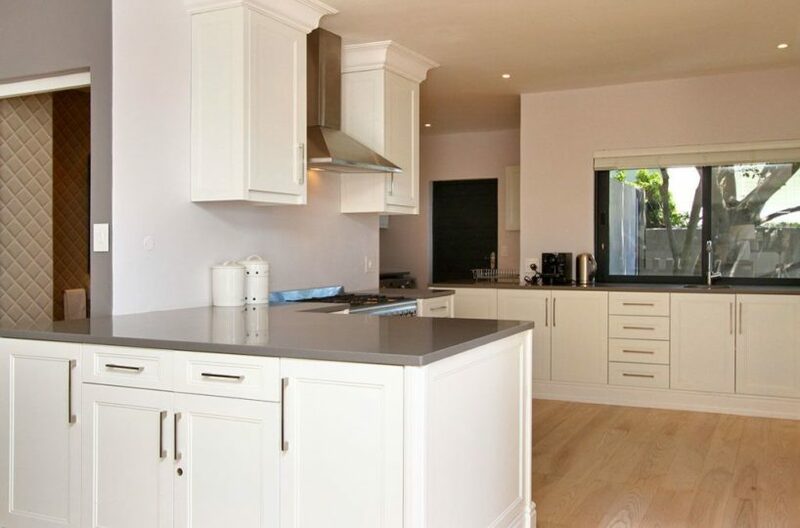 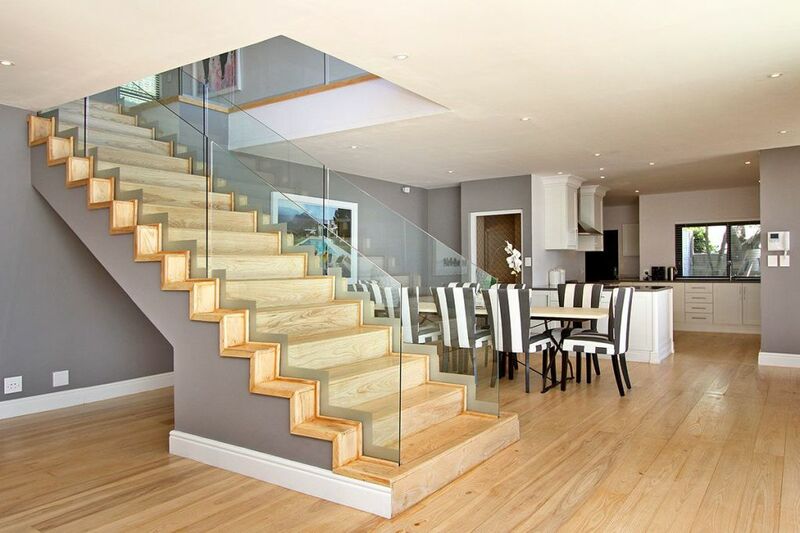 The 4 bedroom holiday villa is designed to enjoy open plan living in a spacious and airy summer environment. The living areas flow effortlessly onto the gorgeous pool terrace, showered in warm sunshine. 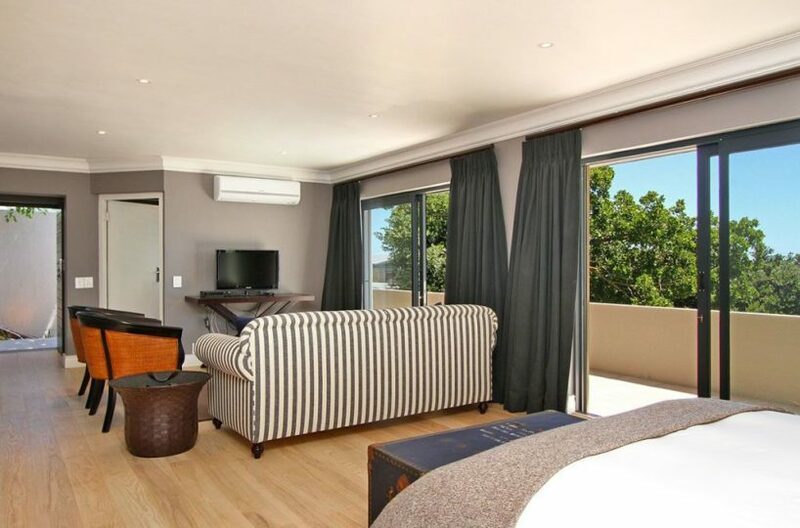 3 of the 4 bedrooms have stunning sea views, all are elegantly furnished and will ensure a restful holiday. 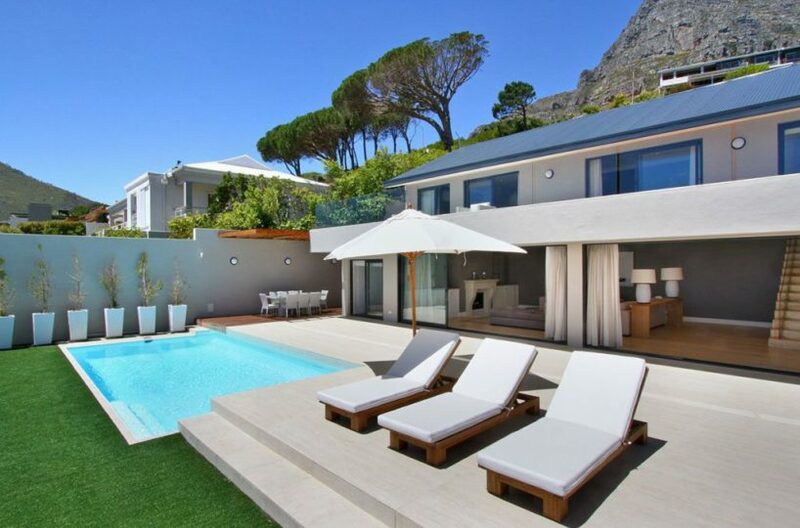 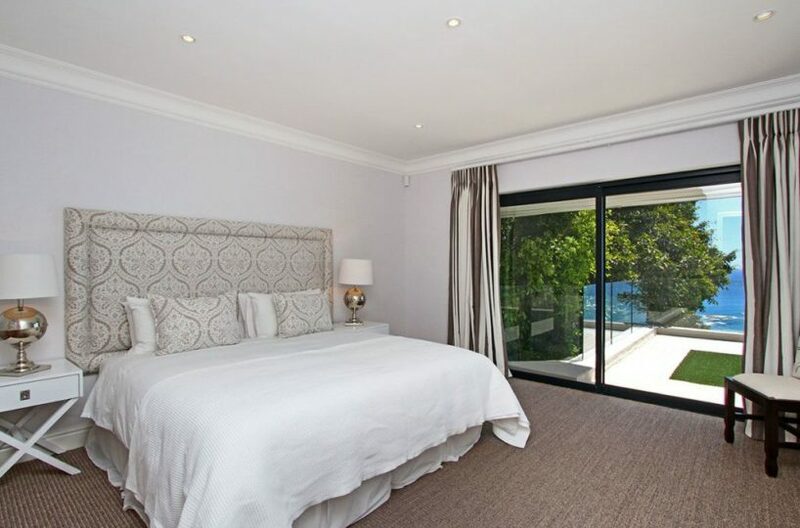 This Camps Bay villa is perfect for relaxing, entertaining friends and family and picking up your holiday tan whilst lounging by your private pool.